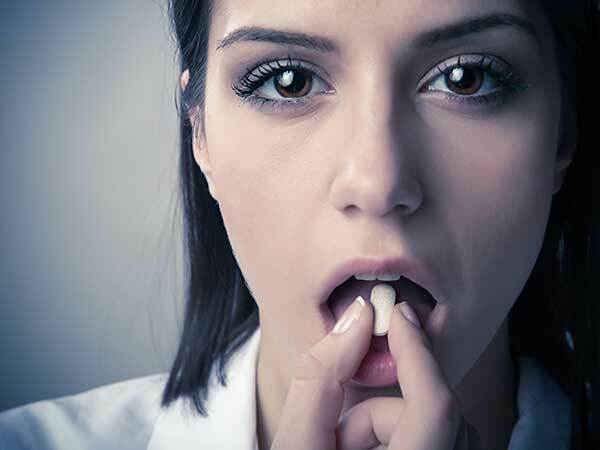 Depression medication may seem like the wise way to go if you are suffering from depression, panic or anxiety triggered by workplace bullying, but that isn't always the case. While medication can certainly be helpful, sometimes it can mask the underlying issue. Though it can certainly address the symptoms you may be experiencing, it won't be able to stop the bullying itself, which limits its overall effectiveness. The important thing to understand about workplace bullying is that it is a very real issue and it is never, ever the fault of the victim. Bullies in the workplace, just like those you may have encountered in school growing up, usually have an overdeveloped sense of insecurity which causes them to lash out at others around them who they perceive as a threat. Unfortunately, in the workplace this can lead to bosses pushing around their subordinates or co-workers striking out at those who they think are getting better treatment than them or who are better at their job. The bully takes the position of intimidator and can resort to all sorts of aggressive, abusive behavior to get his point across. This abuse can be physical but more often than not it is psychological and emotional, which often leads victims to lean on depression medications in order to ease their troubles. No matter what form the abuse takes, the results can be devastating for the victim. Victims of workplace bullying have reported experiencing depression, anxiety, increased stress and complex PTSD among other issues. Just getting up and going to work every day can become a nightmare and it may seem as if you need depression medication in order to make it possible to cope. While the threat of workplace bullying is very real, the important thing to remember is that there are steps you can take to fight back. Within the workplace itself, you can find out whatever rules are in place to deal with this kind of behavior and seek help from your immediate supervisor or from human resources. Unfortunately, this can be a long, drawn out process that often just adds to the psychological trauma, but it is still important to at least consider it. However, it is important to be aware that in many cases human resources will not only not be of no help whatsoever, but will side with the bully and engage in further threats, intimidation, and targeting of the victim. Fortunately, there are other steps you can take outside of the workplace to help you deal with the effects of bullying. Having a good support system is crucial. If you can, talk with a family member or friend. Sometimes just speaking out loud about your problems can go a long way toward easing them. If this isn't possible or doesn't work, consider seeing a professional therapist. That way you can find out if depression medication or other treatments may be helpful. No matter what you do, it is important to always remember that the bullying is not your fault. Sadly, one of the main factors in workplace bullying is the ability of the bully to pawn off responsibility for his actions onto his victim. The victim becomes sure that he or she has done something to cause this behavior, but that is never the case. The sooner you can accept that fact, the better off you'll be. Also remember that whatever effects you are experiencing from bullying are real and valid and you should never be embarrassed to seek treatment. You may actually require depression medication or some other medical intervention and if that is the case you need to accept it and do what's best for you in consultation with your health professional. The goal is to get past the bullying and get back to living your life without the constant stress it causes.